There are wonderful photographs for your family tree notebooks in A Pictorical History of Immigration by Oscar Handlin. Published in 1972, the text is informative on emigration and its causes, including . 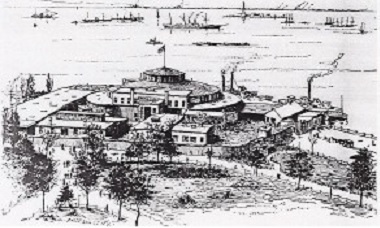 . .
Castle Garden opened as a receiving station in 1855. the Immigration Bureau took over in 1891, first operating out of the Barge Office at the Battery (Lower Manhattan and near Castle Garden), then closed the facility and moved into Ellis Island. 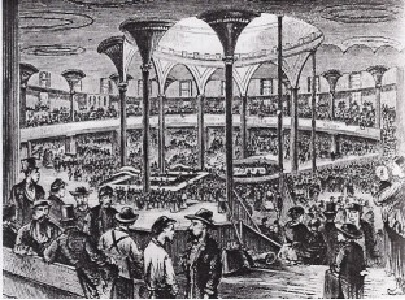 In 1866, 318,568 immigrants entered the United States. 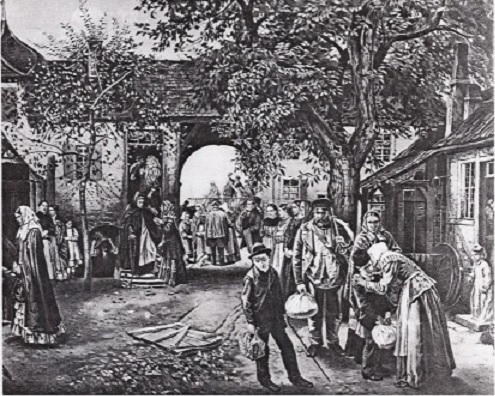 In 1867, 315,722 immigrants entered the U.S. Three million Germans came in 60 years. In 1866 there were 36,801 miles of railroad track in the U.S. The next year 39,250. By 1883 there were 121,455. In 1900 $20 could buy a steerage ticket from Finland or Sicily to New York. On page 163, “Certain wild animals, scarcely known in Europe, were ever-threatening pests in the United States. The deer and raccoons nibbled away at the tender shoots, while the squirrels dug the corn and potatoes out of the ground as they were planted. To peasants accustomed to the cramped quarters and tight spaces of the Old Country village, a homestead pitched within an 80 or 160 acre farm might at first have seemed attractive. But they soon learned that the greater the size, the harder they had to work, and that with space came isolation and loneliness.